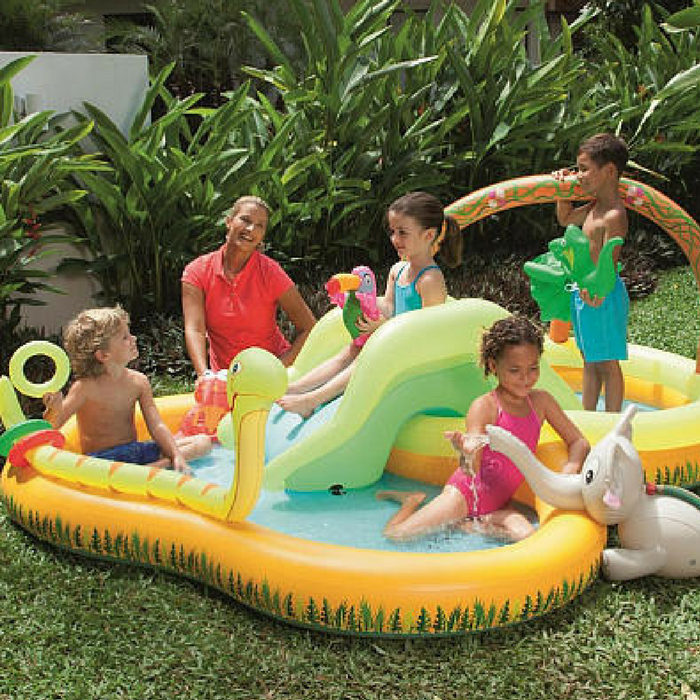 Sizzlin’ Cool Jungle Play Pool Just $24.59! Down From $40! You are here: Home / Instagram / Sizzlin’ Cool Jungle Play Pool Just $24.59! Down From $40! Summer is not over yet! Head over to ToysRUs and get this Sizzlin’ Cool Jungle Play Pool for just $24.59 down from $39.99 PLUS FREE store pick up or FREE shipping for orders over $29! The Sizzlin’ Cool Jungle Play Pool provides hours of jungle themed fun and the perfect place to cool off during summer days. This great play pool includes an elephant themed cannon,as well as three inflatable animals and hoops to provide a fun game.